Waldman, Fung and Covell introduced continuum mechanics for the first time to describe the motion of the cardiac tissue when subjected to applied forces by using strain tensors (Waldman et al., Circ Res 1985; 57: 152-63). 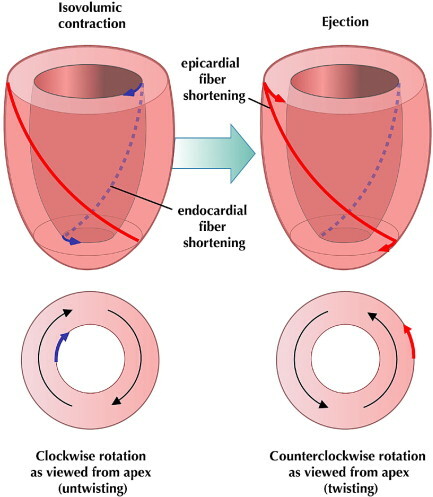 Our contribution was to develop a new technology in vivo to allow detailed description of time-dependent change in strain tensors with respect to the local cardiac microstructures, such as myofiber and sheet structures. My work demonstrated that deformation of myofiber and sheet structures is significantly different at different layer of the ventricular wall. This line of work indicates that ventricular wall is not a mechanically homogeneous but a heterogeneous structure with different mechanical roles in different sites.